We have been battling the worst case of mosquitoes I've ever seen this year. My little one must taste really good too because we can walk from the car into the house and she gets bitten at least once. 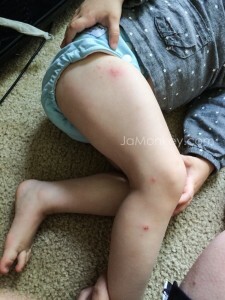 This summer all we wanted to do was play outside but when the mosquitoes get this bad it's impossible. No one wants to itch for days just to play outside. So when Mr. Mister Mosquito Control offered up some tips to help we jumped all over it. 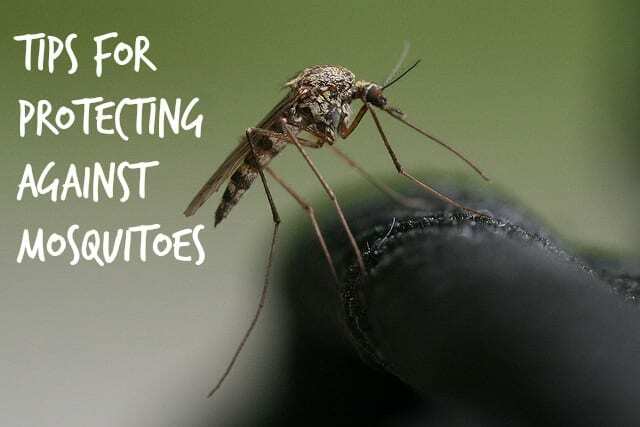 Here are some tips to help prevent mosquitos from breeding in your yard. Eliminate standing water (mosquito larvae can exist in as little as 2 tablespoons of standing water)…TOYS especially house water. Turn them over after a storm. Eliminate decaying foliage from ground. Clean out your gutters too to prevent that mess of water build up and decaying leaves. Drill holes in the bottom of outdoor trash cans for drainage. Mosquito repelling plants – Marigolds, basil, lavender, citronella, catnip, ageratum, horsemint. Replace outdoor lights with yellow bug lights. They are less likely to be attracted to this light. They recommend particular bug sprays that are plant based, etc. We use EcoSmart Organic Insect Repellent and it works well when we remember to put it on. Mr. Mister Mosquito Control treated our yard for mosquitoes and we can finally relax outside. I'm blown away by how well the treatment worked. Our neighbors have a wall of bamboo and it's a mosquito city because of how much water it holds. Since Mr. Mister Mosquito Control treated the yard it's like there is a bubble over our house and yard. So we've been able to spend more time outdoors again. They did a ClearZone misting in our yard but they also have a system they can install in your yard. It only took them a few minutes and they were done. Mr. Mister Mosquito is located in Atlanta and they partner with parks and schools around the city to create a mosquito free zone for munchkins to play. Mr. Mister Mosquito does something great as well when you use them. With every new customer they donate a life-saving mosquito net through Nothing But Nets to help combat the epidemic of malaria and other mosquito-borne illnesses. Such a great cause.